Hello guys! 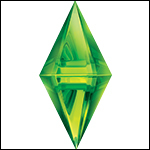 I play the sims des of the ts1 version, I write hists sims to a few years. Thank you for receiving me on the forum. Happy to have you here. I've made this message a new topic so it's easier. Do you play FreeSO? You'd like that if you like TS1. Hello! I actually play TS3 and write sims stories.